We help the fashionista to master fashion designing so that they can design beautiful clothes for celebrities as well. 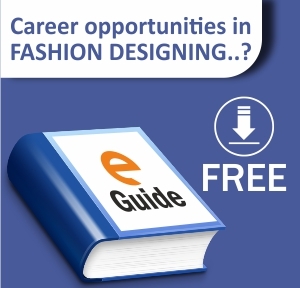 Fashion design is one of the most preferred career options today, the scope of which is growing leaps and bound. The world of fashion, glitz, and glamor is alluring. All it takes is a keen sense of fashion, talent, passion, and technical skills. People have become really conscious about fashion and this has created a huge demand for the fashion designers across the globe. With this, fashion has become a glamorous and rich career. The Indian fashion market is of about 20,000 Crore. A fashion designer can earn from 15,000 to 40,000 in the initial few years of the fashion career. And if you really become famous, there are no limits. Indian fashion designers are being acknowledged and applauded all over the world. Creations of Indian Fashion Designers are seen in a positive light. They are getting more reach and visibility by being part of international fashion events. The three-year long course thoroughly prepares you with the best-in-class technical knowledge, internship opportunity, workshops conducted by industry leaders and noted signatories, and numerous additional workshops. Our course is the best because of its study structure too!! With this dual specialization, you get two certificates – one from YCMOU and the other is the Accelerated Professional Certification Course from Times & Trends Academy. 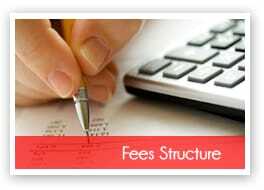 Our course is recognized as one of the best courses for its practical approach as well. We believe in equipping our students to the extent that they will attain financial stability while enjoying their work. We have always received very positive feedback from students for our course which makes us feel happy and satisfied. We are the leading Fashion Designing College In Pune providing Fashion Designing Course with 100% Placement Assistance. We do not only offer education but we also make sure that our students are getting high returns out of what they have studied. We have a glorious record of 97% placements usually every year placing students with Leading Fashion Designers, Retail Outlets, Stylists and much more. We have a policy of 80% attendance and 50% average marks. If a student fulfils these tow condition 100% he is going to get the placement. It gives us immense pleasure to have placed the below-listed students. Note: Course curriculum is subject to revision as per industry requirement from time to time.